The weekend is more or less over and i can look back on some busy days. A show without some hurting shoulders and my packed messenger bag wouldn't be a real show! Let me say a big thank you and chapeau! to the great work the Tinsoldiers of Antwerp have done organizing the Crisis 2012. Amazing event! 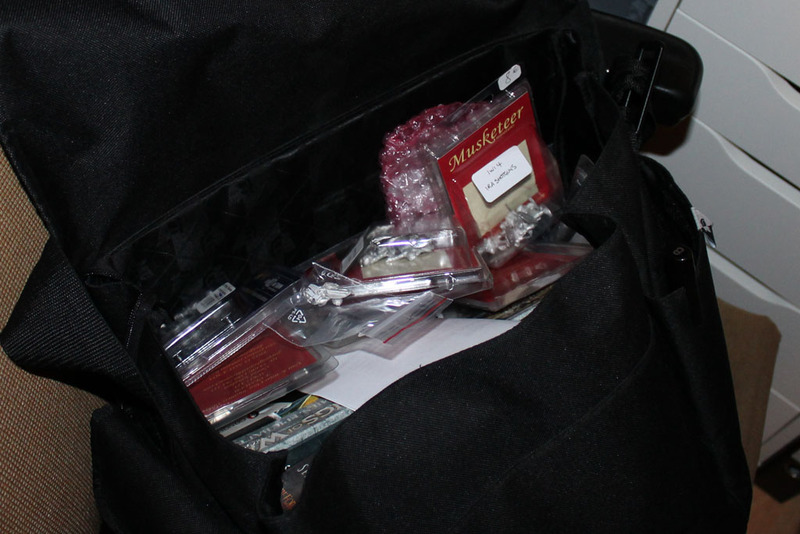 Let's take a first look inside the bag, to see what i've brought along from Belgium. Some bargains, some wishlisting and several things for upcoming reviews. In Detail the "loot" consists of the following things. The first 1,000 visitors of the crisis received a free event miniatur (upper right corner). 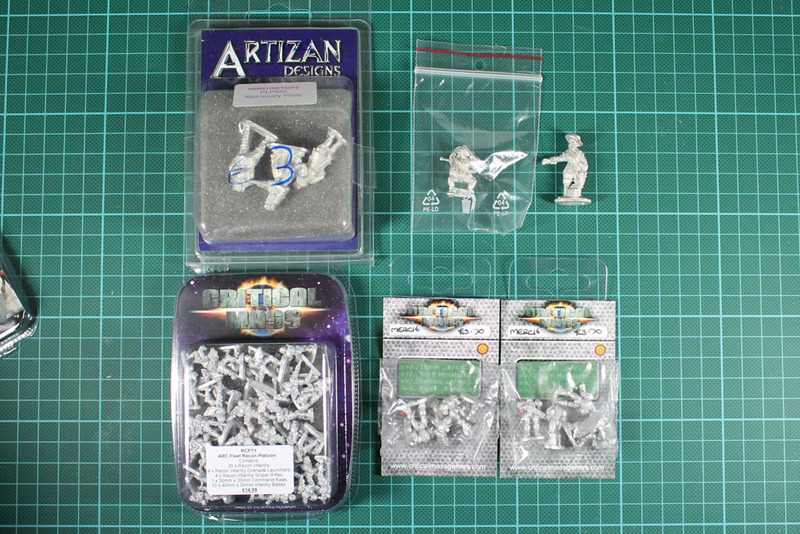 The bring & buy this year was rather week, so I only got myself some Mercenary Pilots from Artizan Design for 3 Euros. 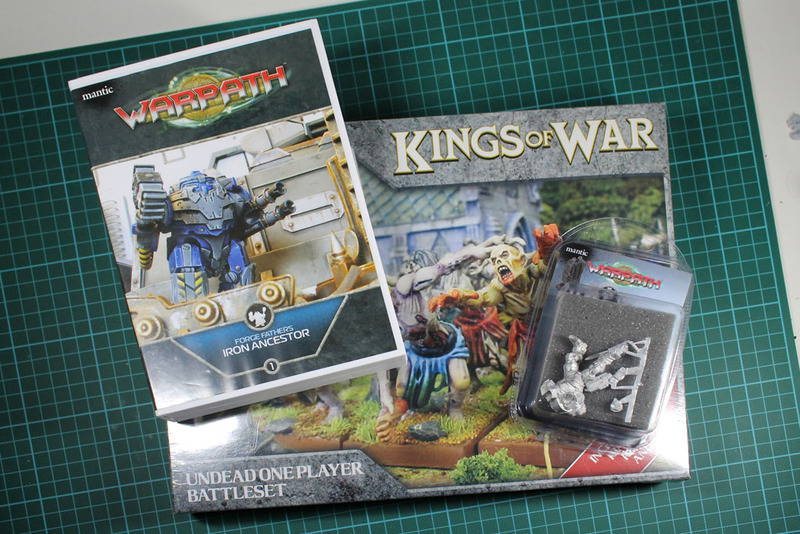 At the BitBox i got myself some Stronghold Terrain (Review is in the making), hence i needed the outhouse-guest. In the last post i already spoke about my 15mm plans, at Critical Mass Games I bought some regular ARC Troopers as well as a squad of 10 "Starcraft"-esque Star Marines. As I needed some zombies for several projekts, I had to stop by at Mantics. Ronnie is a great salesmen and I have a weekness for good deals. 30 Euro later the undead starting box, the enforcer captain and a forge father ancestor found its way into my bag. Impulsive buying for the win! The guys replaced the missing items with other things from their range and so i got Oberst Steiner as well as Otto Skorzeny (Bonus Miniature of Armies of Germany). I was going to buy a truck for the Tsuba Miniatures Werdenfeller Freikorp I bought recently, but the weren't in stock. But as plastic is now coming to the Bolt Action vehicles, this may not be bad at all. The author of the Bolt Action rules, no other than Alessio Cavatore, was in the next hall at Fireforge Games, introducing Shuuro and his latest rules, Deus Vult. 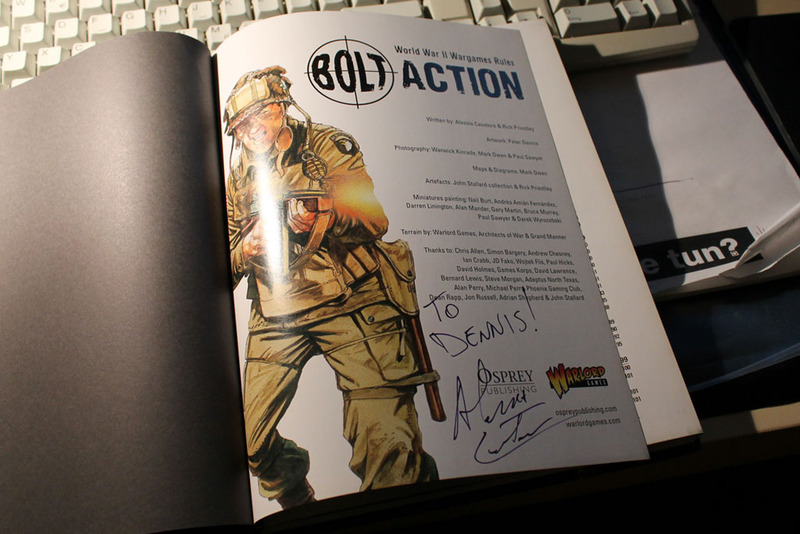 I used the chance to meet him again and got my book signed. 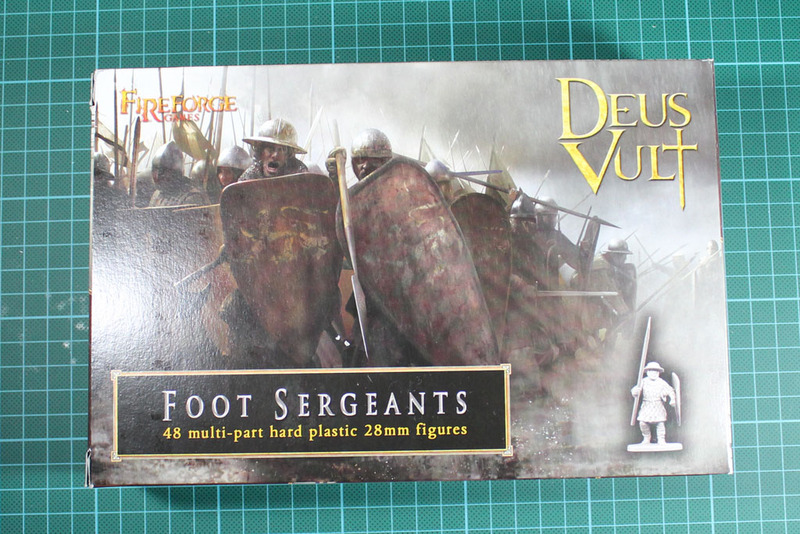 As we were already at Fireforge, we used the chance to get our hands on a copy of Deus Vult (which will be reviewed by Gregor / SirLeon), as well as a box of foot sergeants I will take care of. Speaking of historical systems. 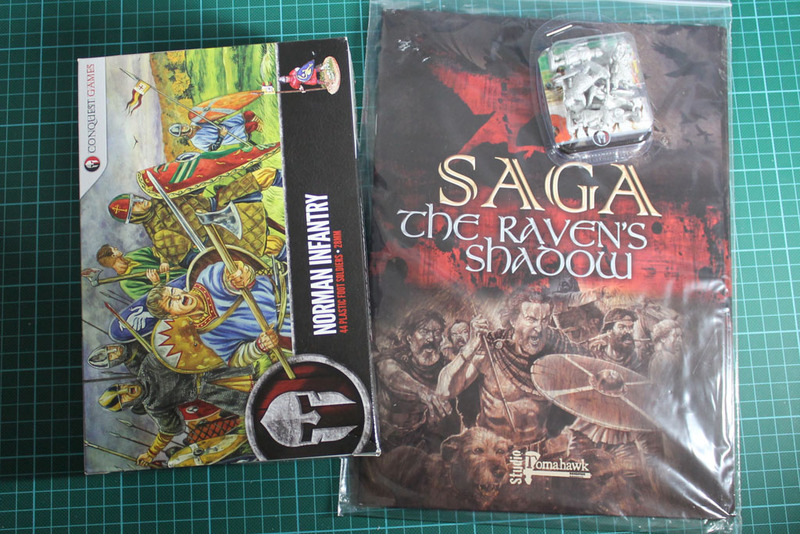 Studio Tomahawk and Gripping Beast presented their latest expansion to SAGA at the Crisis, The Ravens Shadow. And as I already wrote in the review of the Conquest Games Norman Knights, I had to expand the warband and bought the matching infantry and crossbowmen. 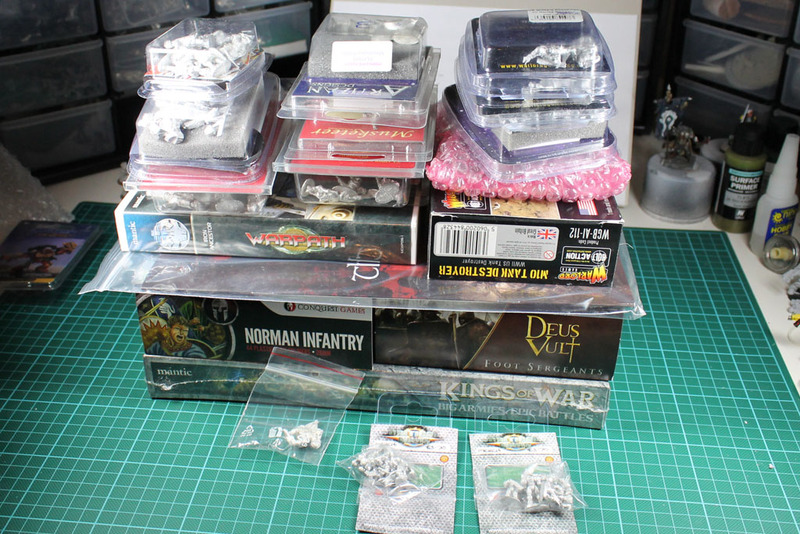 Gripping Beast has a close relationship with Northstar Miniatures, so you could buy there perrys, Artizan and a couple of other manufacturers, I just had to browse their broad range. I stumbled upon Musketeer while reading the Incursio Barbarica Project from Lt. Hazel, and they have some lovely IRA miniatures of their Midwar Period 1918-1939. 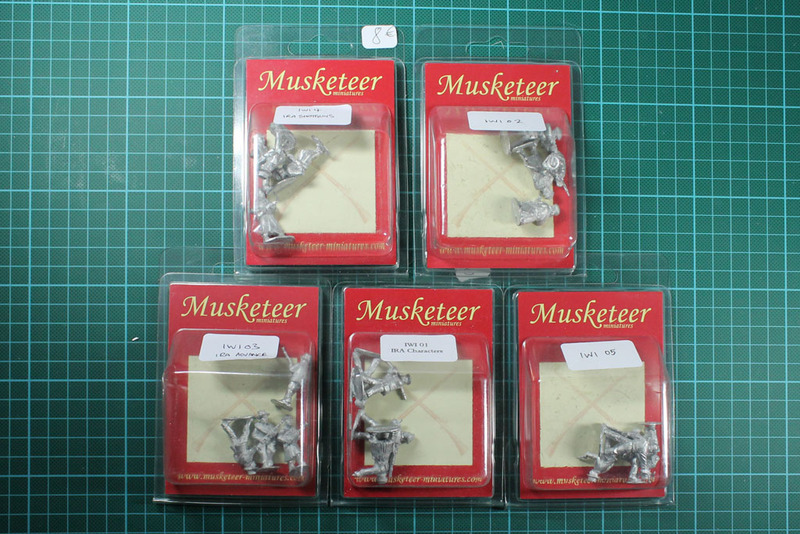 Those will be great for Bolt Action as some partizans or militia for my brits. 30 Euro for 20 figurines? Sold! Further coverage on the show will be online in the next days, so stay tuned. But the weekend wasn't all about crisis. The postman rang a couple of times. 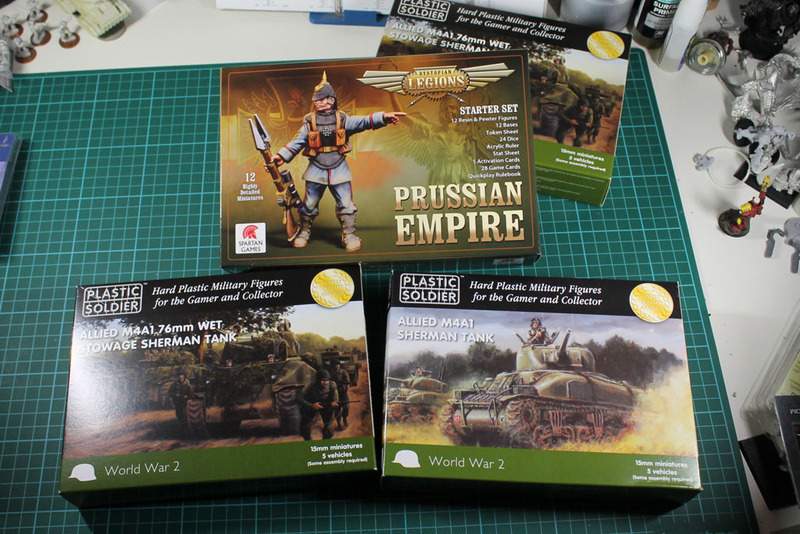 On the one hand I received my latest order from Fantasyladen, covering the new dystopian legions prussian starter. 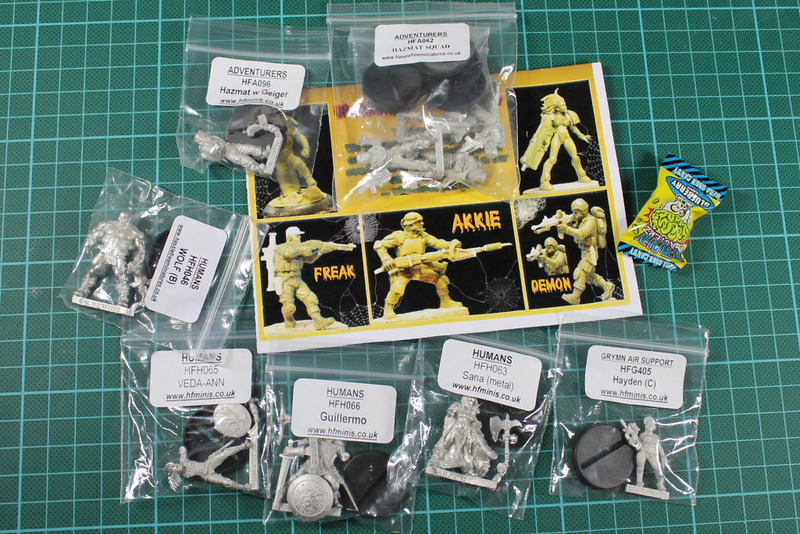 45 Euro for 12 Miniatures, rules, dices and lot more? C'mon, I had to buy it. 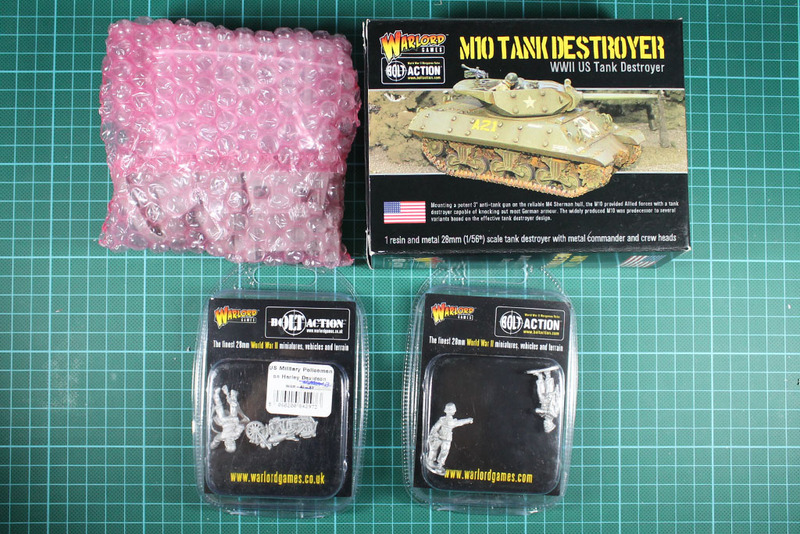 And some additional tanks for Flames of War. And on the other hand, a smaller order from Hasslefree arrived. Some miniatures I am following for quite some time on facebook were finally available. Beside the miniatures above, I took part at the Frother Charity Thingy and ordered Judge Minty - and so should you! It's for a good cause. 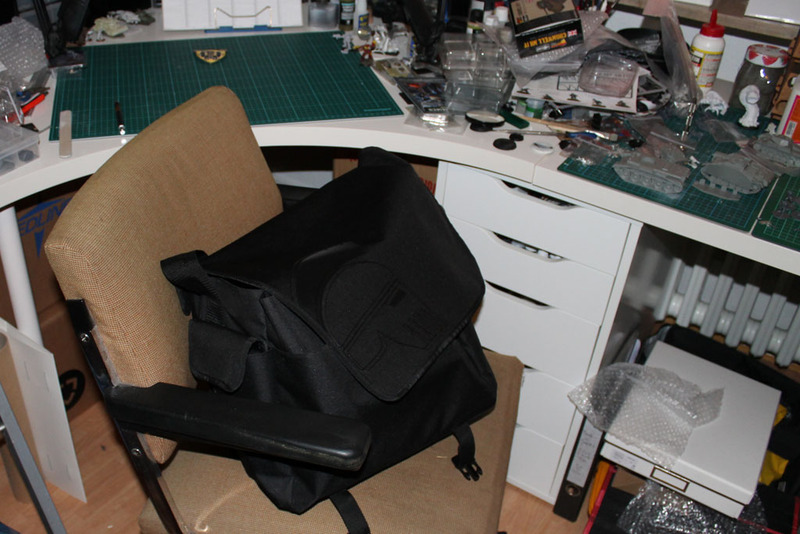 I am off the next days for a business trip, therefore not that much activity until the next weekend.